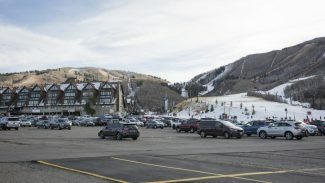 Park City officials want to spend more time studying whether to finalize an acquisition of approximately half of The Yard, a deal that was announced in the spring but is not scheduled to close until early 2017. 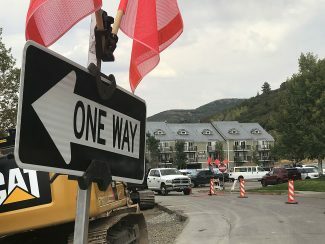 Mayor Jack Thomas and the Park City Council on Thursday are set to consider whether to extend a period in a real estate transaction known as due diligence. The deadline for due diligence, which is when a prospective buyer delves into a detailed review of a property, is Nov. 1. Officials want the deadline extended unto Dec. 9. They also want to delay transferring $60,000 in escrow money to a title company from Nov. 1 until Dec. 9. The ownership of The Yard has agreed to the extension of the due diligence and the transfer of the money. The Feb. 1 closing date will remain the same. City Hall in May made public the $6 million agreement to acquire a stake in The Yard. Officials at the time, though, also indicated they would undertake detailed research into municipal opportunities at the location. 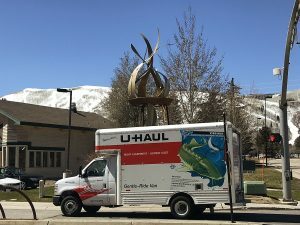 Park City leaders want a role in The Yard, which is strategically located along Kearns Boulevard and is seen as the anchor property in what is envisioned as an ambitious redo of the Bonanza Park district. Officials have described a broad vision for The Yard, a 2.29-acre parcel of land that is behind The Boneyard Saloon & Kitchen and borders the Recycling Center, a Rocky Mountain Power substation, Homestake Road and a storage-unit business. City Hall says The Yard could advance the municipal government’s housing and transportation efforts, two priorities for officials. They have said part of the land could be used for some sort of income-restricted housing development while another portion could be turned into a large parking garage and transportation hub. 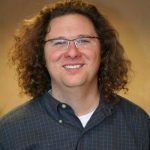 Jonathan Weidenhamer, the economic development manager at City Hall, said in an interview the vision for the land remains the same as it was when the deal was announced. City Hall, though, was unable to complete the studies it desired by the time the due diligence window was set to close. He said officials want a landscape architect to study possibilities. An extension will also give City Hall time to talk to additional people who live nearby about the ideas for The Yard. “I just need a little more time to get it completed,” Weidenhamer said, adding that City Hall does not intend to request another extension if the one is granted until Dec. 9 on Thursday. The Bonanza Park partnership, involving Mark J. Fischer and John Paul DeJoria, is the prospective seller of The Yard. Fischer said in an interview the request for additional time is acceptable.